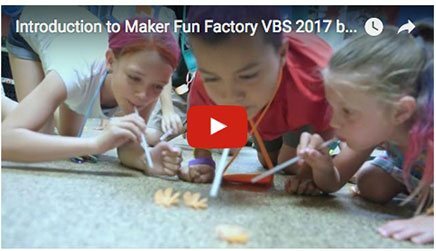 A summer kids’ event known as Vacation Bible School was hosted at Boonton United Methodist Church from June 25 to June 29, 2018. Each year has a different theme. The kids enjoyed “Conquering Everest ” in 2016’s and spelunking with “Cave Quest” in 2017. Last year, the children spent each day creating, building, and learning about their Creator God, who built them for a purpose. Stay tuned and check back in during the spring, when we announce the theme and dates for our 2019 VBS! Vacation Bible School is for kids from 3 yrs. old (potty trained) to 12 yrs. old and runs from 9am to 12pm each day. There is no cost for this camp, we just ask for a donation for our Loaves and Fishes Community food pantry. We will coordinate efforts with Rockaway Valley United Methodist and Montville United Methodist churches so children throughout the area can experience a great send off to their summer vacation. For more information on how to register for next year, call Theresa at the BUMC Church Office at 973-334-8275 or email us at office@boontonumc.com.